Long Hunter is offering the Ruger New Vaquero revolver. The Ruger New Vaquero is an entirely new, fixed-sight single action revolver destined to exceed even the legendary performance of the original Ruger Vaquero. It closely resembles the look and feel of classic single action revolvers of the 1800's, but with the most modern internal mechanism and Ruger reliability.That action is then premium tuned in the U.S. by our own in house, skilled gunsmith complete with lightened trigger and hammer springs, and no creep trigger pull - see below for particulars - this custom works is included in the price shown. Long Hunter offers the New Vaquero in three finishes: Blued, Stainless Steel, and Bead Blasted Stainless (at an extra charge). Stainless Steel New Vaqueros feature a high-gloss finish, simulating the attractive, but relatively fragile, nickel-plating found on many original revolvers. The Bead Blasted Stainless Steel New Vaqueros feature a satin finish. NEW! WE NOW ALSO OFFER THE RUGER SASS VAQUERO, CLICK HERE FOR DETAILS. Extensively redesigned to offer the original "Old West" single action look, size and feel. Blade front and notch rear sights. Barrel Lengths: 4 5/8" & 5 1/2"
Patented Ruger transfer bar safety mechanism and loading gate interlock, which provides an unparalleled measure of security against accidental discharge. 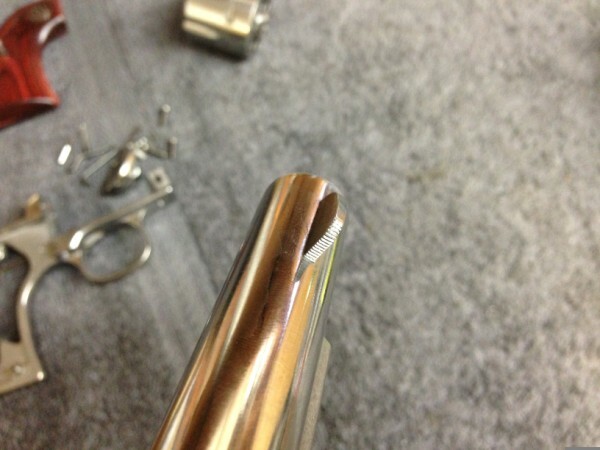 Patented Ruger reverse indexing cylinder pawl allows for easy loading and unloading. 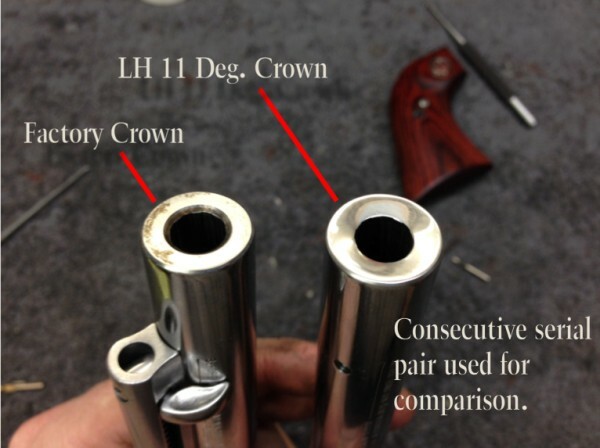 Traditional beveled cylinder for ease in holstering. Larger crescent-shaped ejector rod head in traditional form. $864.00 each + Shipping: $30.00 for one gun. $5.00 for each additional gun. NOTE: To order just call us direct. We simply need a faxed or emailed copy of the FFL for the dealer of your choice after placing your order. We recommend that you contact your local FFL dealer to make arrangements for delivery - most FFL dealers will handle such a transaction for a minimal fee. For more info or help, contact us before ordering.